Healthy reasons to drink coffee! Sometimes the only reason to get out of bed in the mornings is for that first cup of coffee! It's a good start of a day and certainly gets you going first thing in the morning. Many of us have a passion for coffee. It is often believed that the benefits of coffee are one of the many reasons why people are energized every day to achieve success in their lives. Before you drink your next cup of coffee you may want to discover some of the significant health benefits this magical drink can offer you and your body. Coffee improves energy levels and mood. So what is the number one health benefit of drinking coffee? Increased mental awareness! The act of waking up is often an interesting give and take between the mind and body. Why is it that our body may take some time to fully become awake? A question we all ask ourselves every day. Coffee provides a feeling of being energized in the morning. Mental, as well as emotional processes, are significantly improved as a result of consuming caffeine. It is very easy for each of us to become emotionally addicted to the benefits of caffeine once the cognitive benefit of caffeine is experienced on a regular basis. There is a proven correlation between coffee consumption and Alzheimer's disease prevention. It is believed by many that mental inactivity is a significant contributor to Alzheimer's thus the consumption of coffee keeps the mind stimulated and mentally engaged. 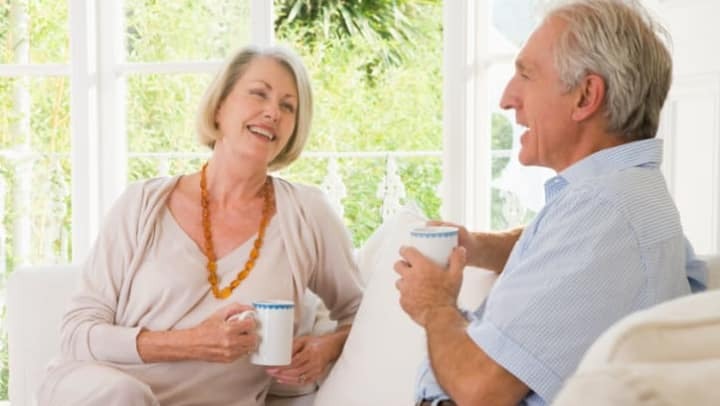 This is terrific news for seniors as it must be more appealing to have a nice hot coffee beverage knowing it could be a contributing factor in holding off Alzheimer's. Coffee lowers the risk of developing depression and may dramatically reduce the risk of suicide. Coffee consumption improves digestion, especially with the age. By drinking coffee on a regular basis, the body better regulates digestion and even has the ability to better prevent colon cancer and constipation. Recently there have been reports of people benefiting from caffeine intake of three to five cups of coffee per day showed a reduction of type 2 diabetes, liver disease, and Parkinson's disease. Caffeine taken daily through coffee or powder, can even improve a person's memory retention and increase attention span as well. Studies have shown a reduction of strokes in middle-aged women and older. Coffee is the main dietary source. Plus it's one of the minerals necessary for strong bones. Even though there can be a number of benefits to coffee, moderation is still the key to drinking this beverage. The addictive aspects of coffee and the negative effects of the coffee bean can lead to serious health problems. If used properly, and moderately, the positive health benefits are there.